So, coconut ice will not beat me. It has right now but I shall persevere. 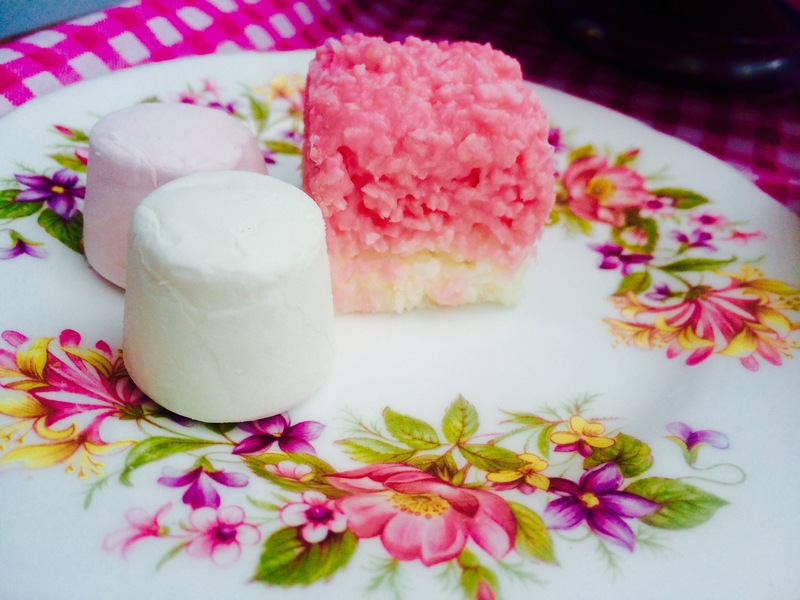 In my vintage baking quest I was asked to prepare this favourite. And the vintage recipe is proving my nemesis right now. Two disasters in the kitchen saw me reaching for the modern alternative! I’ll be back to complete (successfully) the aged requirements but here is a really easy task for you or the kids. 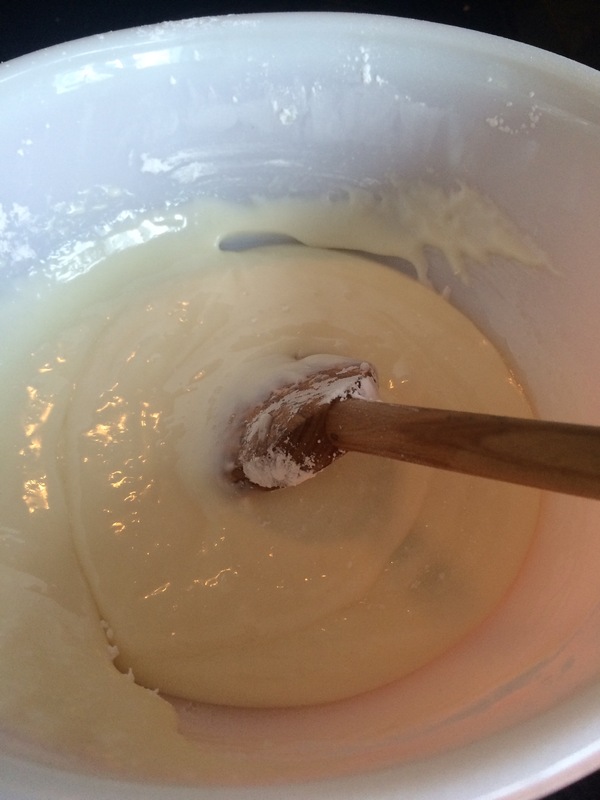 Mix in the coconut and once well stirred in divide the mixture between two bowls. Add a few drops of food colouring to one bowl and stir in. 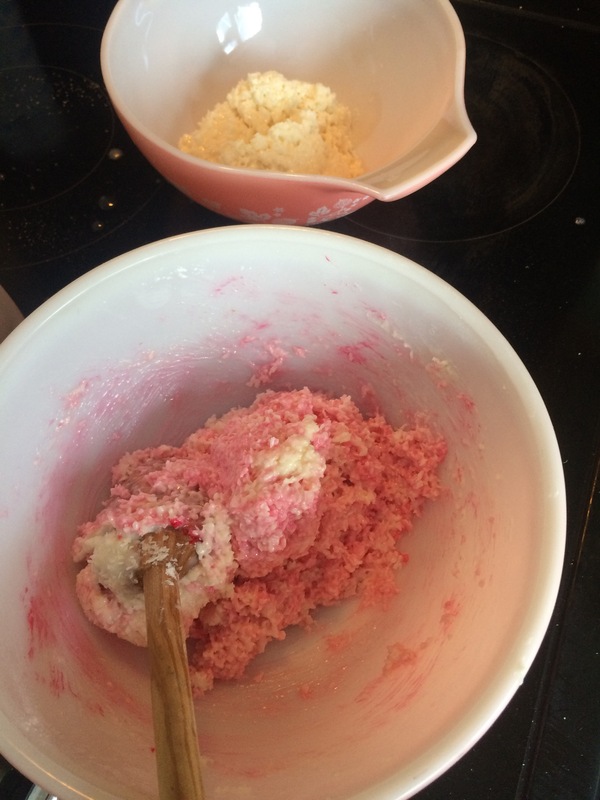 Top a board with icing sugar – this is messy – and knead each mixture using your hands. Shape the mixture and using a cutter prepare a few patties. Do the same to both mixtures. When done combine the shapes into a sandwich. 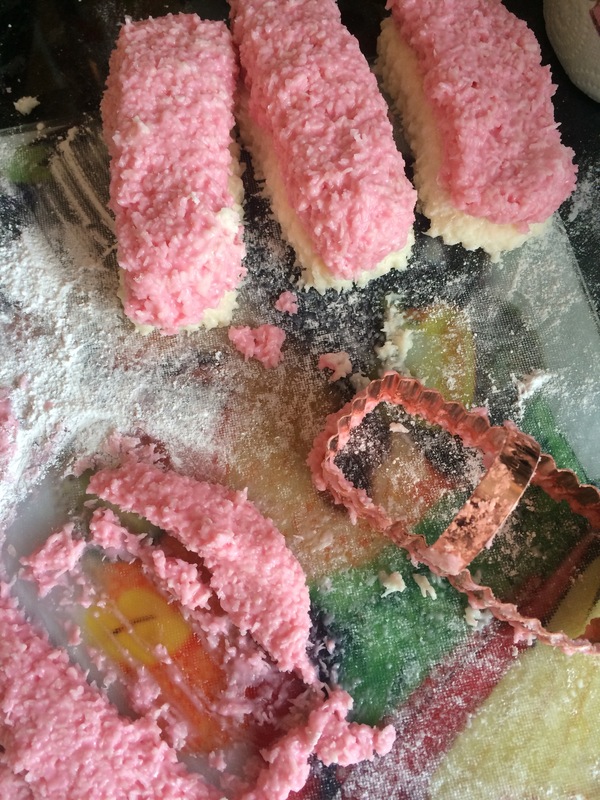 Put the coconut ice patties into a dish and leave in the fridge for a few hours or overnight if possible. 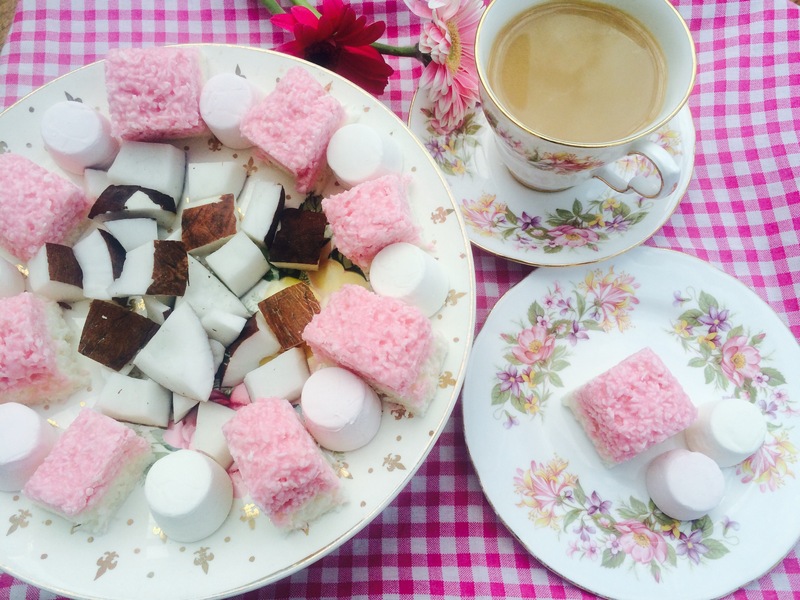 And serve…I’ve served with fresh coconut and pink & white marshmallows. And a cup of tea! 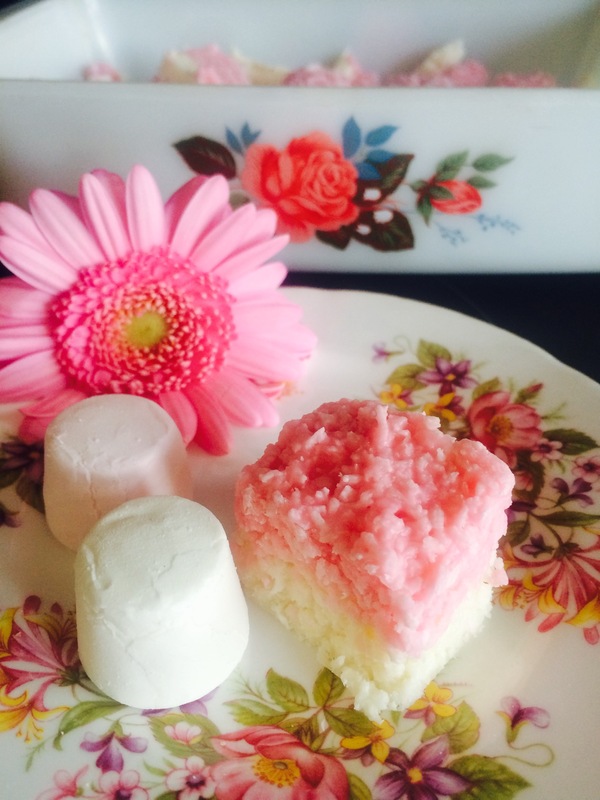 Have you made coconut ice the old fashioned way? I have to say it’s easy, if a tad messy, to make and everyone that tried it loved it!